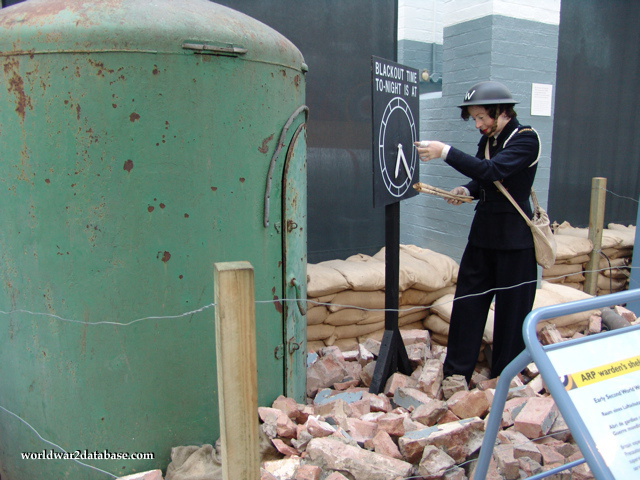 ARP Wardens checked homes to ensure they met blackout conditions, and they reported fires and unexploded bombs. They were organized along council districts.The ARP Warden shelter shown here protected against shrapnel and machine gun fire but couldn't withstand a direct hit. They weren't fixed to the ground so they might be moved by a strong blast or falling debris, but gave the warden a reasonable chance of survival during a raid. Here you see a female member of the ARP Wardens. 14 million Britons served as wardens during the war.